It’s worth thinking about the balance between your work and the other important things in your life, especially your children and family. A good work-life balance is good for your children and good for you too. Work-life balance is the relationship between your work and the other important things in your life, like your family, sport and social life, household chores, volunteer commitments and so on. If you feel like you have enough time for all of these things in your life, you probably have a good work-life balance. There’s no universal formula for work-life balance. It’s different for everyone, because every family situation is different and unique. And it’s also likely to change as your work, family and other responsibilities change. 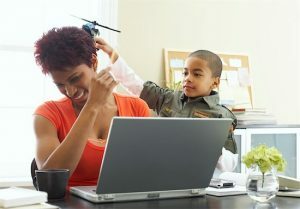 With realistic expectations, and some trial and error, you’re likely to find an approach that helps you and your family achieve work-life balance in the long term. And a well-balanced family life can actually help prevent burnout at work too. To develop and learn, children need warm, loving attention and quality time with you. Quality time is when you’re physically and emotionally present with your child. A work-life balance can help you make this time for your child.